This is one piece of wood from top to bottom. 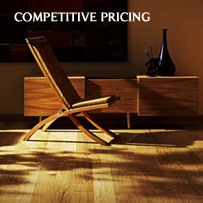 It is available in many different types of wood, colours and patterns. 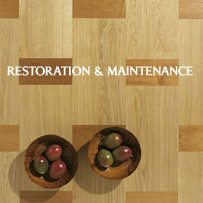 It is also available in two types of finishes; Pre-finished and Unfinished. 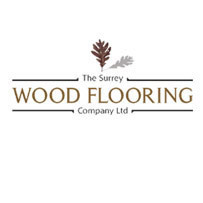 The majority of solid wood flooring requires to be nailed down and would need a wooden subfloor. 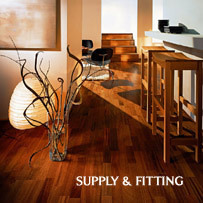 Solid wood blocks (parquet) can be glued down to a variety of sub floors. However, solid wood plank and strip have to be nailed down and as such, would make use of a wooden sub floor. 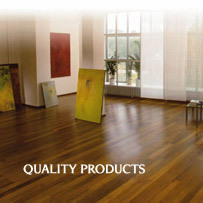 A range of solid hardwood flooring sanded and finished in the factory, allowing easy installation. It requires no sanding or finishing and can be walked upon on the day that this floor is fitted. 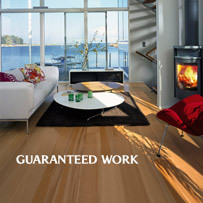 There is a wide range of solid hardwood floors available, these boards must be sanded and sealed, once fitted. The benefit of choosing an unfinished floor over a pre-finished floor is that it gives you the option of choosing the finish, ie. staining, oils, wax, lacquers. 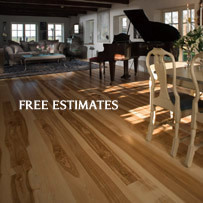 Also most prefinished solids have bevelled edges so if bevelled edges are not to your taste you may want to go for a unfinished floor to create a bevell free surface. 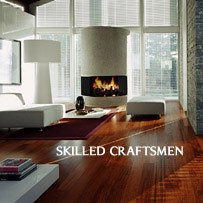 Engineered wood can also be known as real wood flooring, as the whole board is made of different woods.The top layer is made of solid wood. Below the solid wood there are layers of the wood slates laid at a 90 degree angle to the top layer to create the strength. The bottom layer is then laid at 90 degrees to the latter to add stability. There is a 14 and 15mm board available which in the future when worn can be sanded and re-finished upto 3 times. There is also a 20mm board available which can be sanded and re-finished several times and has the life span of a solid wood floor. 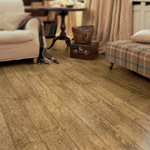 Engineered wood flooring can be installed in areas where solid wood is not compatible such as some basements, subfloors with underfloor heating and conservatorys. 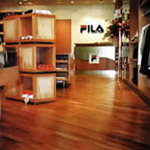 Compared to the solid wood, the engineered floor offers more choice and can be laid over various sub floors..
Laminate floor is made of three basic layers; A high-density base, with a printed design on top a core, a backing and coated with an acrylic layer. There is no real wood in a laminate board. 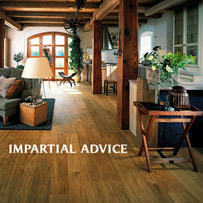 Laminate flooring is highly durable and can be installed over nearly any kind of sub flooring. 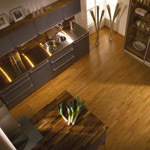 They are hard-wearing and resistant to marking, staining and heating and may be suitable for use in kitchens.